Instead of buying more sandals, I bought a pair of Keds. I want to travel possibly this summer if the budget allows for it so it’s good to have a pair of sneakers around for walking. And it doesn’t hurt that it’s cute too. 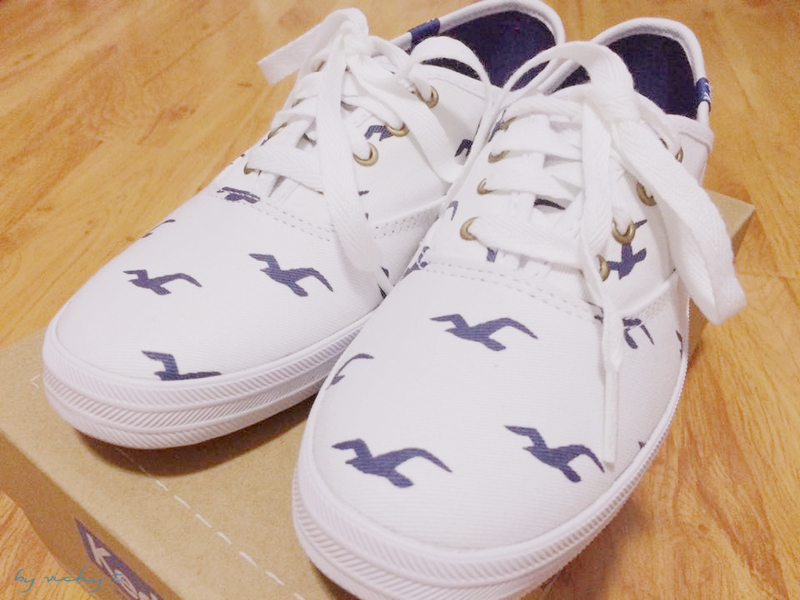 I bought the pair of Keds at Hollister and it was on sale too! Then there’s the crop top. 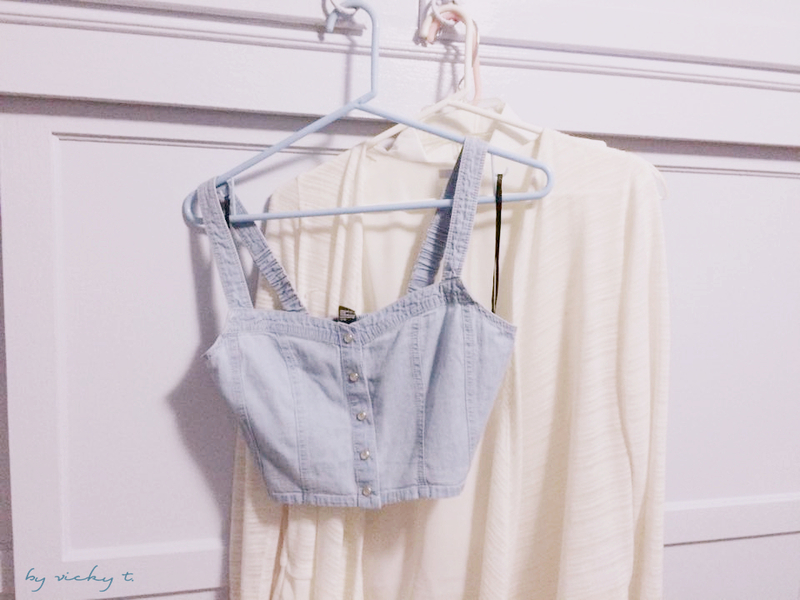 This season is all about the crop tops and denim styles so why not buy one that has both. I haven’t worn this crop top, which is from Forever 21, out yet since the weather in California doesn’t allow for it but it makes for a great work out motivation. Of course I also got some makeup base. 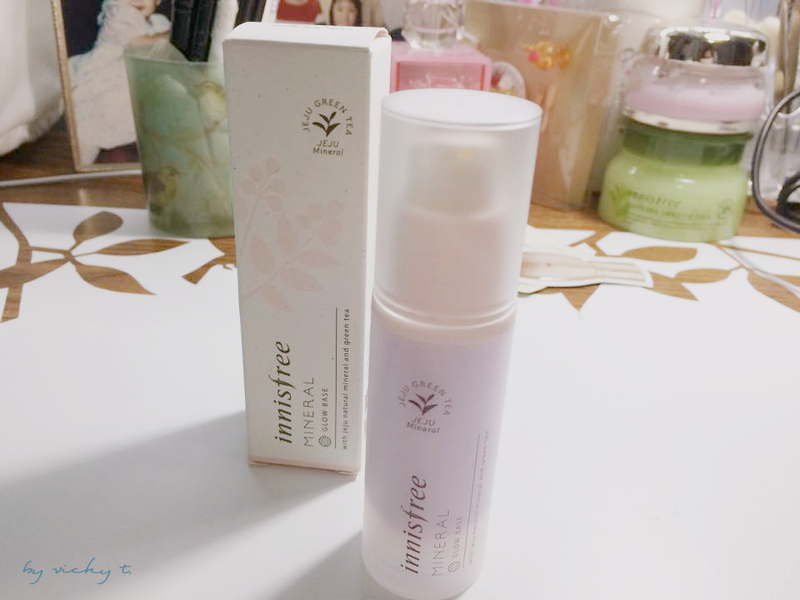 This glow base from Innisfree is one of my “go-to” base. I have extra dry skin so this helps to keep my face from having “cracks” and it doesn’t cause a break out in hot summer days. 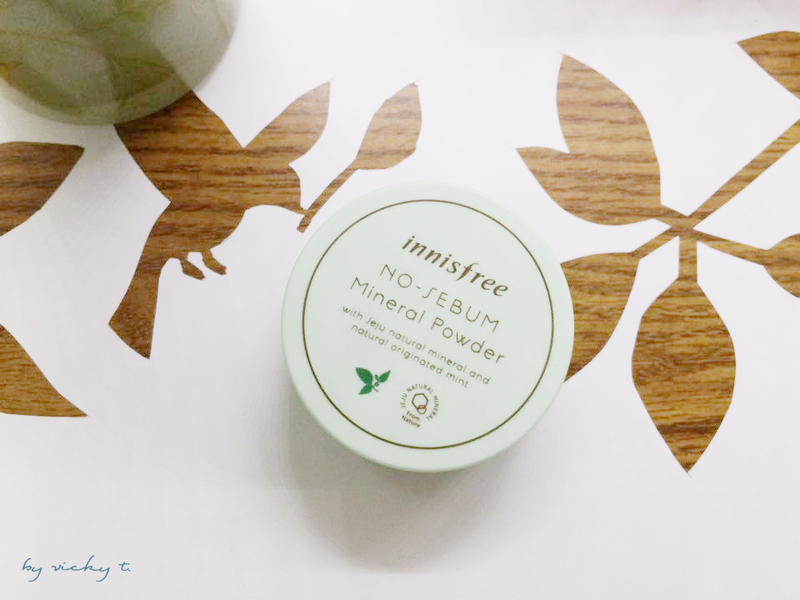 I also bought the No Sebum Mineral Power, which is another one of my “go-to” since it helps keep the makeup cleanly on the face. 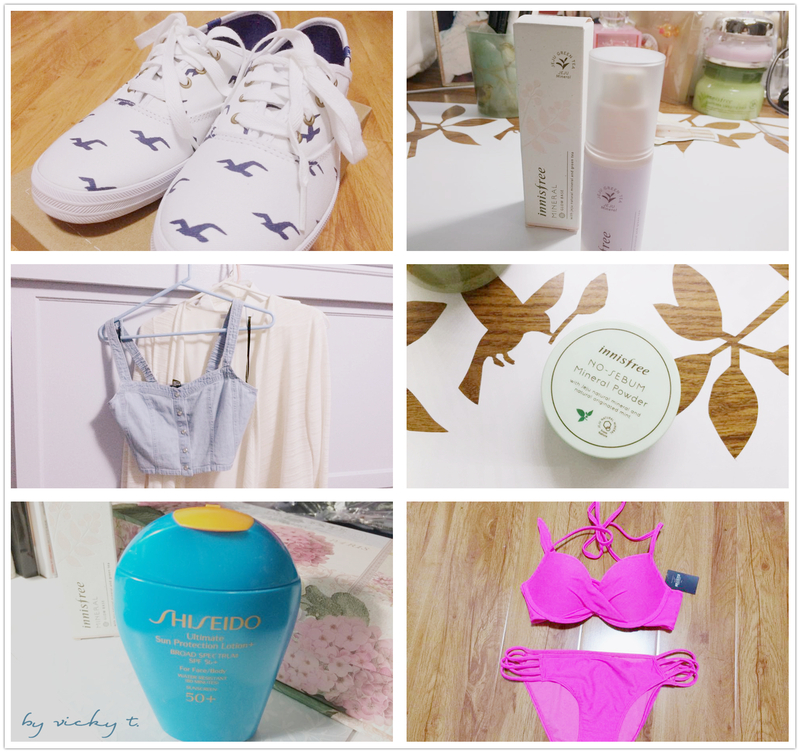 And last but not least, the must have for the summer is sunscreen. 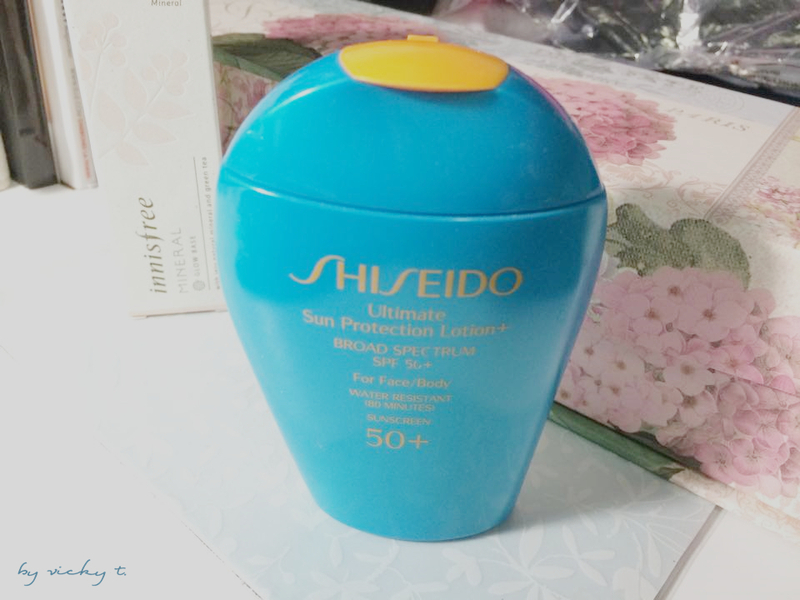 My favorite one is the Shiseido Ultimate Sun Protection Lotion. I don’t go anywhere without it on!